When a child survives cancer, the journey isn’t over. Childhood cancer survivors face the effects of their treatment for the rest of their lives — even when they decide to have children of their own. Meet 2012 St. Baldrick’s Ambassador Sarah, a 28-year-old survivor who’s ready to be a mom, and Dr. Jill Ginsberg, a St. Baldrick’s researcher who’s determined to preserve the fertility of people like Sarah. 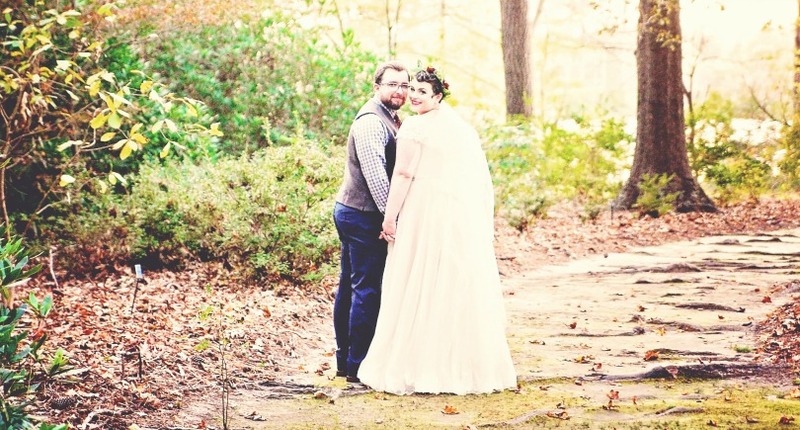 Sarah and Patrick have been together for 10 years, through Sarah’s relapse and beyond. Last year, they got married. Now they want to start a family and they are ready to face the challenges together. As long as she can remember, Sarah Rostock wanted to be a mom. But she didn’t anticipate one massive obstacle — childhood cancer. Now Sarah is grown up and she still has that dream to be a mom. She got married last year and she’s ready to start a family, perhaps as soon as this autumn. “I’m not so sure if my husband has let that truly sink in yet,” she said, laughing. But because of her past treatment, Sarah knows that starting a family is not going to be easy or quick for her. That’s because though Sarah is now an adult, childhood cancer survivors don’t outgrow the long-term effects of treatment — including its impact on fertility. 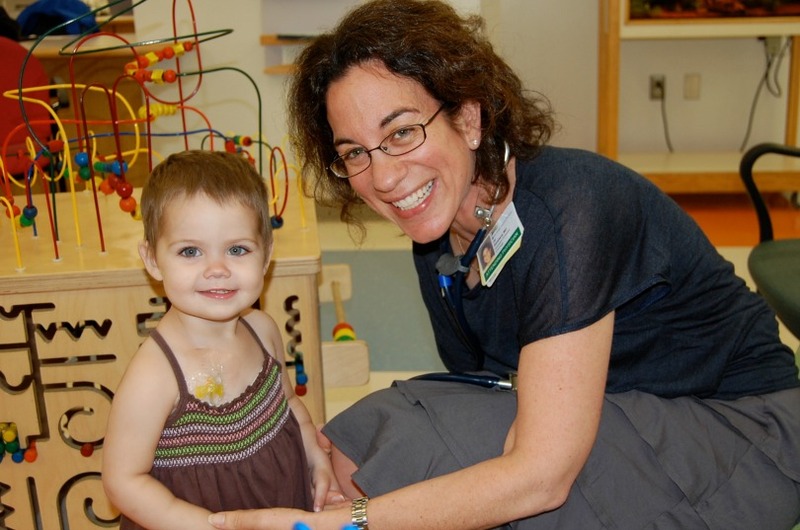 Dr. Jill Ginsberg runs the cancer survivorship program at the Children’s Hospital of Philadelphia and is passionate about preserving the fertility of kids with cancer, so they can grow up to become moms and dads if they want to. The risk to survivors’ fertility depends on their treatment and their gender, explained Dr. Jill Ginsberg, a pediatric oncologist, a St. Baldrick’s researcher and the director of the Cancer Survivorship Program at the Children’s Hospital of Philadelphia Cancer Center. Both chemotherapy and radiation attack and kill cells, which is why those treatments are generally so effective against cancer. But those therapies hurt and kill healthy cells too, including cells that are crucial to reproduction. 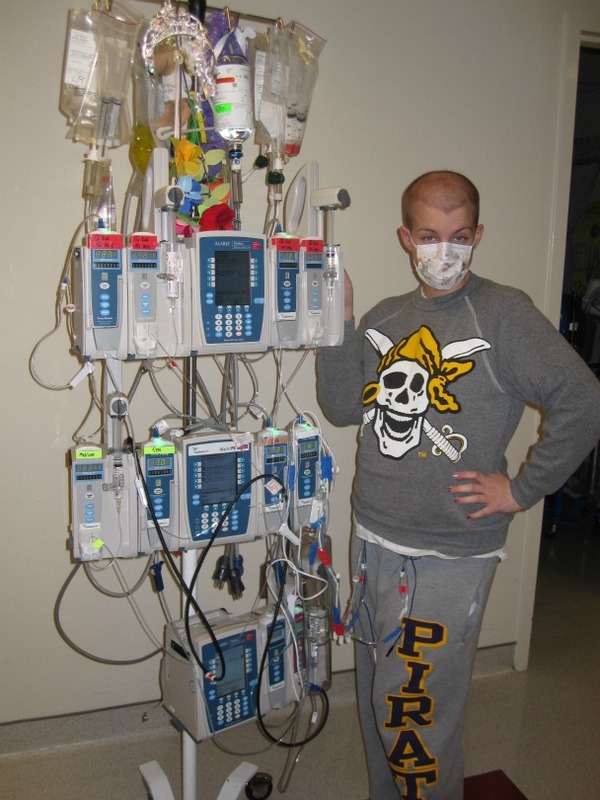 Sarah strikes a pose next to her IV pole during her second journey through treatment. In fact, certain kinds of chemotherapy, particularly a class called alkylators, can cause infertility in boys and girls, who may experience either complete infertility or premature menopause. In boys who receive radiation to areas that include the reproductive organs, the radiation destroys the cells that create sperm. While in girls, radiation can destroy eggs, leaving a girl with fewer eggs than the average woman and therefore pushing her into menopause sooner. Unlike that first mention of fertility issues, Sarah distinctly remembers the second conversation on that topic. It was the day she relapsed. She was 20 years old. 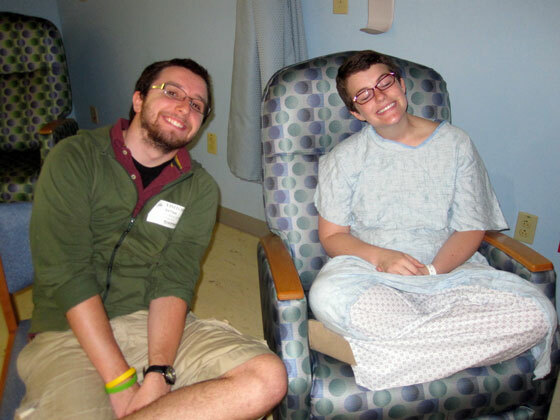 Sarah and Patrick smile together while visiting in the hospital during Sarah’s treatment. Her oncologist knew that being a parent was important to her. So, as she came out of anesthesia after a spinal tap, he told her about a fertility clinic and how surgeons could harvest one of her ovaries. It was all so unfair, Sarah thought. For Dr. Ginsberg, that kind of conversation — telling a patient that they may be infertile because of their treatment — is one of the toughest conversations doctors face in the survivorship clinic at CHOP. And it’s a conversation that Dr. Ginsberg wants to change. That could mean sperm banking for boys who’ve reached puberty and the freezing of eggs for girls. Other experimental options that are offered through clinical trials include the freezing of testicular tissue for prepubescent boys — a program started at CHOP that was funded by St. Baldrick’s — and the freezing of ovarian tissue for little girls. Because the science is so new, whether this preservation method works is yet to be seen. “We’re hopeful that the science of using testicular and ovarian tissue for fertility preservation will continue to improve,” Dr. Ginsberg said. But sometimes, all the science in the world can’t preserve a patient’s fertility, while also saving their life. That’s when Dr. Ginsberg reminds parents that families come in all shapes, sizes and configurations. For Sarah, there are multiple options, with adoption being one of them. At 28 years old, she is in medical menopause because of her treatment and is taking replacement estrogen. Hormone shots could potentially wake up her existing ovary. Or the eggs she had frozen might be viable. She’s realistically hopeful, she said. After 14 years of dealing with childhood cancer, Sarah is an expert in the strange balancing act between hope and caution. “I do feel like I have a lot of options, but I also don’t know how concrete those options are, until it all happens,” she said. In the end, whether she’s able to have biological kids or not, Sarah wants just one thing for her child and for herself. Give survivors, like Sarah, hope. Fund childhood cancer research today.